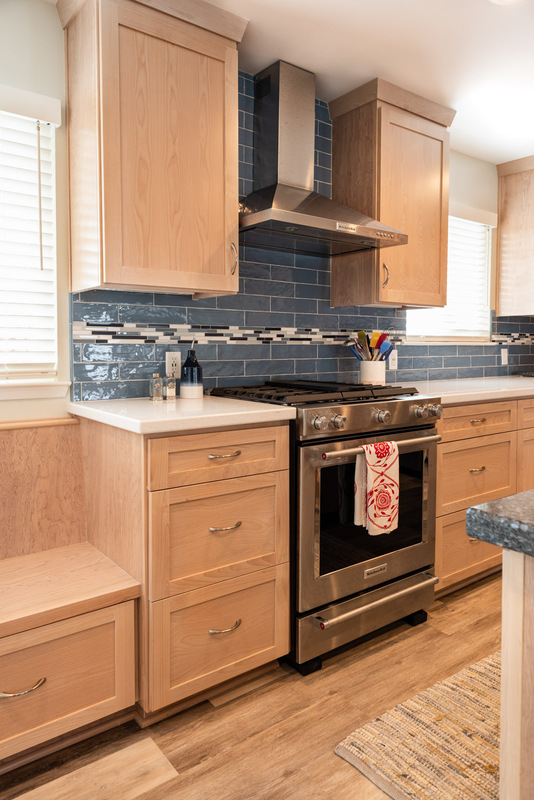 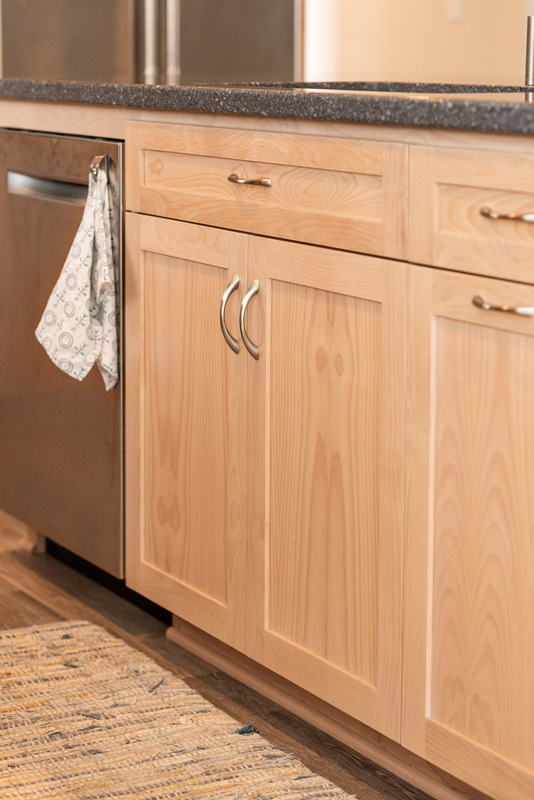 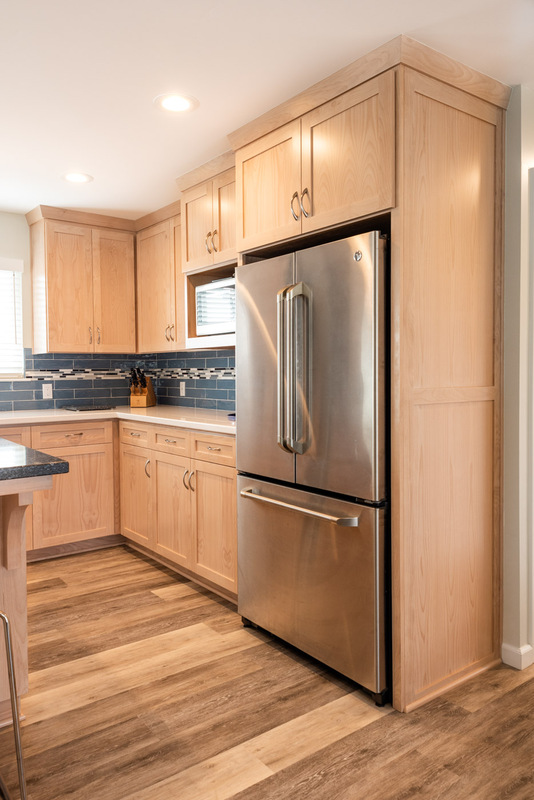 Coastal Contemporary custom kitchen cabinets in Morro Bay, California — Sligh Cabinets, Inc.
A cozy beach style vacation rental with contemporary accents. 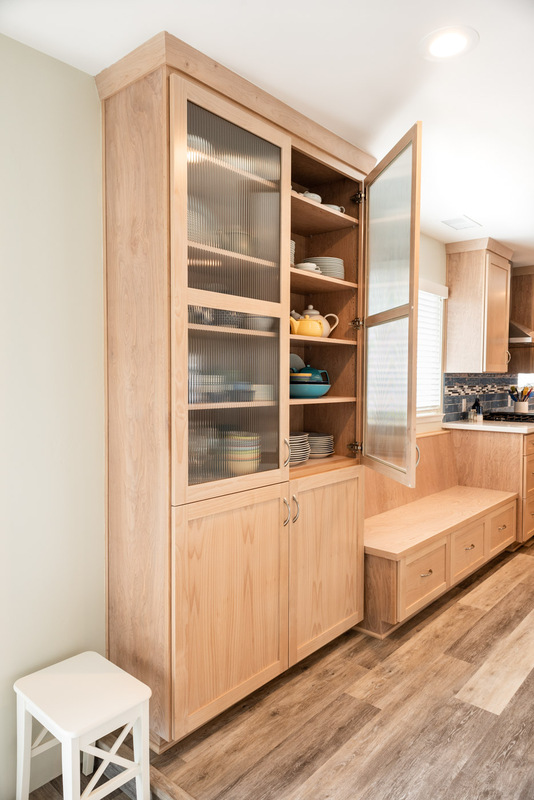 As part of a great room, this L-shape kitchen provides a variety of seating options, with plenty of work space and storage. 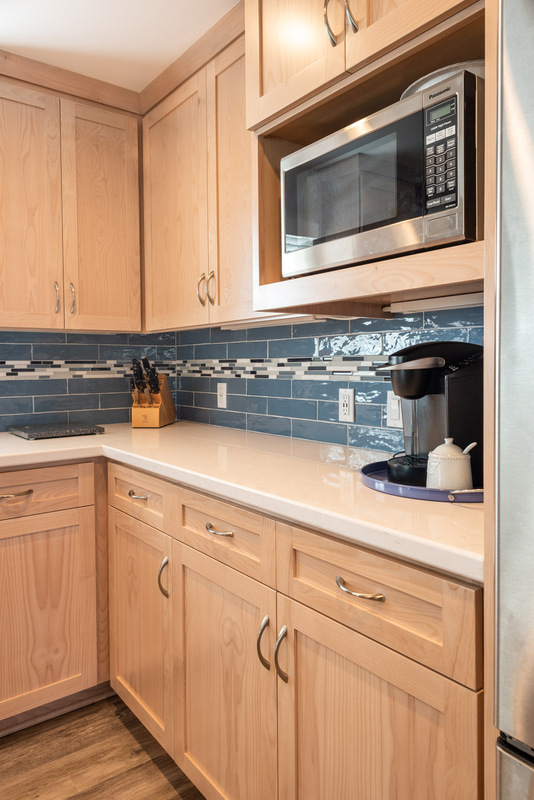 A large glass display cabinet keeps serving bowls and dinnerware close to the dining area, away from prep zones. 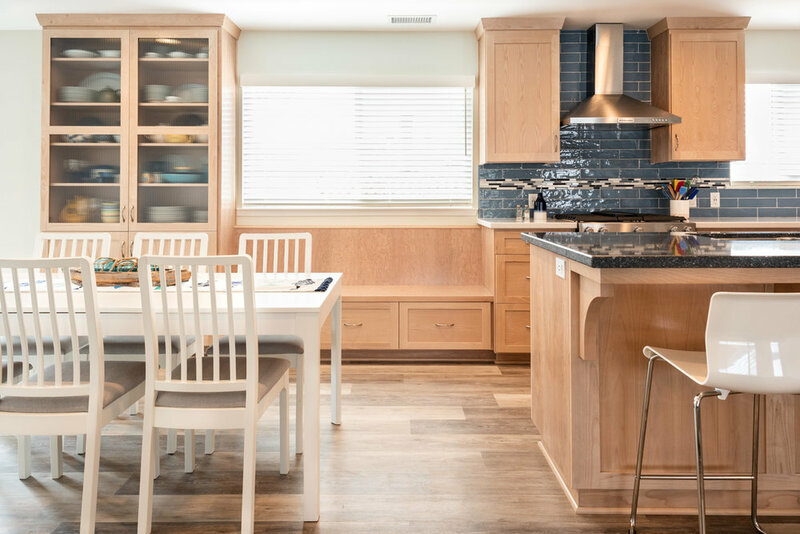 Light, natural wood is accented with blue and white elements to create a contemporary coastal aesthetic.